Pablo Meza, was born in Buenos Aires, Argentina in 1974. He graduated from Cinema Direction at Fundación Universidad del Cine (Film University) from 1994 to 1997. 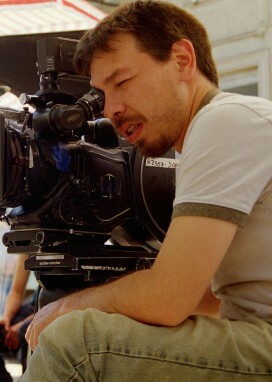 In 1997 and during a year and a half, attended a bachelor’s degree at Cinematography. In 1995, directed his first short film in 16 mm “Detrás de la Ventana” (¨Behind the Window¨ - 6 min. ), winning best script contest at his Institute. “Voces Blancas” (¨White voices¨ - 1998) was his second short film (16mm. – 26min). The short film was selected at Villa Real International Short Film Festival, Spain and the Montevideo International Festival, Uruguay. “Estudiante de Cine” (¨ Film Student ¨ 1999 - 16mm.) This film was his first minute-film, inspired on his study experiences, filmed at the end of his Bachelor’s degree. While he was attending university, he took script classes from 1994 to 1996, with the scriptwriter Martín Salinas; in 1998 with the scriptwriter and dramatist Jorge Goldemberg. Worked as a camera assistant and cameraman(1993-1997). Later, as an Exterior Producer in the TV shows (1998-1999). Since 1999 he worked for several features films and production companies for commercials, in the direction area. In 1998 began to work on a script called “Buenos Aires 100 Kilometers”, getting a ninth and last version in the year 2000. In 2001, was selectionated to participate in the Mannheim-Meetings of Coproduction and in the same year that script obtain the “Best Unedited Screenplay Award” at the XXIII Festival Internacional del Nuevo Cine Latinoamericano de La Habana, Cuba. Pre-Production of this film began at 2003; it was filmed during the summer of 2003-2004, in Buenos Aires (Argentina).